Easy-to-make models of an electric motor have been shown at the international festivals Physics on Stage and Science on Stage, visited by teachers and popularizers of physics and other natural sciences. 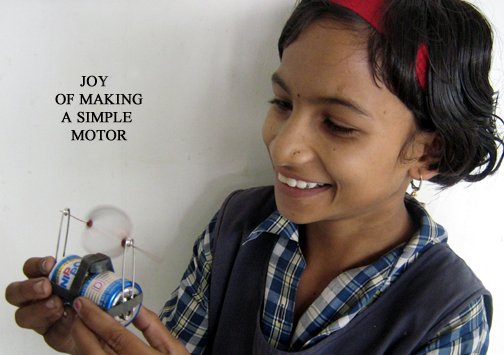 We wish to describe here slightly modified models of an electric motor, which can make physics lessons far more interesting. The models can be easily made by each pupil of the middle school (gymnasium), whereas in high school the models can encourage pupils to further analysis of acting forces. round neodymium magnet; currently neodymium magnets are easily accessible and cheap; we recommend buying between ten and twenty magnets to your physics laboratory (E-Bay! ), because they can be useful for many interesting demonstrations and experiments. sharp knife to scrape insulation off the wire. Cut a narrow, 3 cm wide and 15 cm long strip out of the aluminium foil. 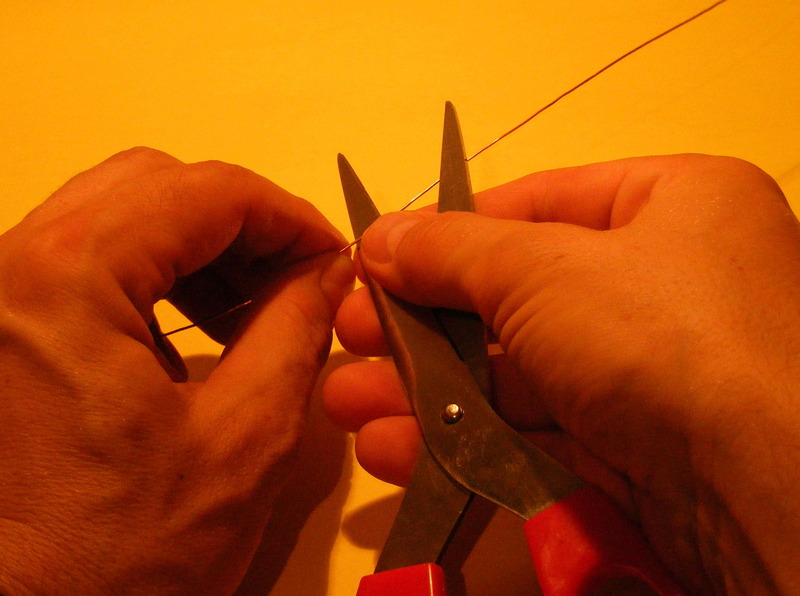 The strip shall be folded in length to make it stiffer. 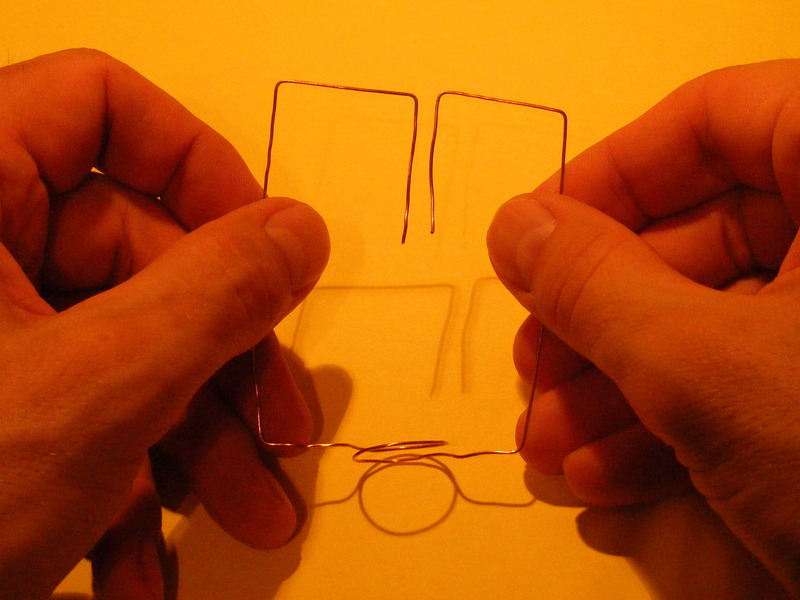 Cut a fan out of paper, which will help you to observe the direction of a magnet's rotation. We suggest you to cut a circle out of paper with diameter about 4-5cm and notch the margins in such a way to form rotor blades. In the centre of the circle make a small hole and put your fan over a screw (or a nail). It is of great importance that the screw was steel and not brass. 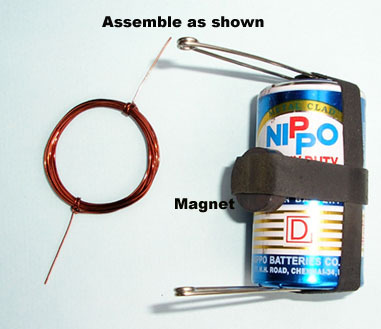 Press a round neodymium magnet against the screw (or nail) head and a blade against one of the battery poles (e.g. against "+"). The battery shall be kept vertically in your hand or fixed to a tripod stand. The screw remains at the battery pole and it does not come off thanks to a strong magnetic interaction. 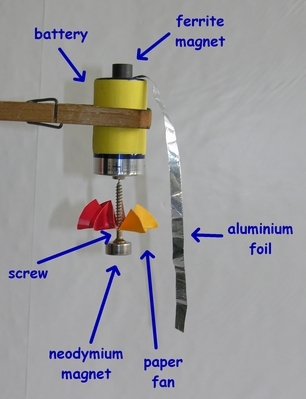 Press one of the ends of the aluminium foil strip against the other battery pole ("-"), whereas the second end of the strip press against the side wall of the suspended magnet. That strip end shall be pressed against the wall in a way to make it slide like a "brush" over the magnet wall. Beware: current flowing through a foil strip can have a big amperage and the foil can become very hot. For that reason try to fix with a small ferrite magnet (e.g. 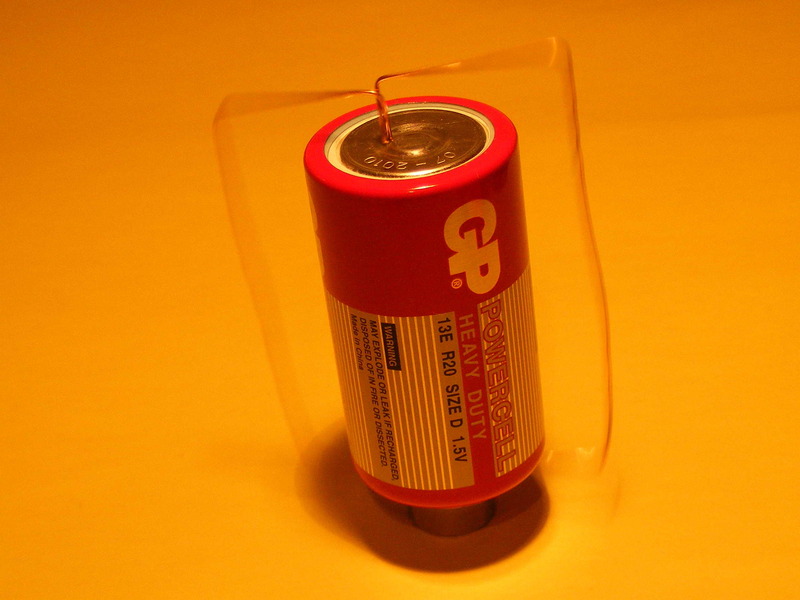 such as used in magnet boards) the foil end that constantly touches the battery pole. That is all. Now you can see how your satisfied students watch a quickly rotating magnet (with a screw and fun). 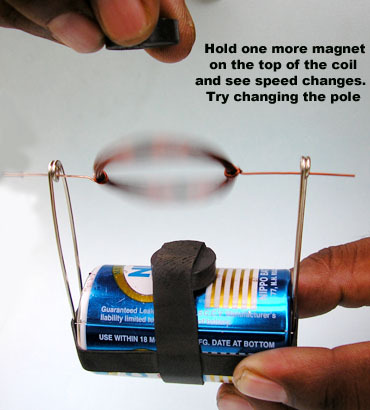 Make your students experiment with a motor to see the direction of a magnet rotation when changing location of poles in a battery (that is change of direction of a flowing current) and poles in a magnet. Click here to see a film showing assembly and starting of a motor. Check also what will happen if you reverse a battery cell. Click here to see the film showing an assembly and starting of an electric motor with a rotating copper frame. 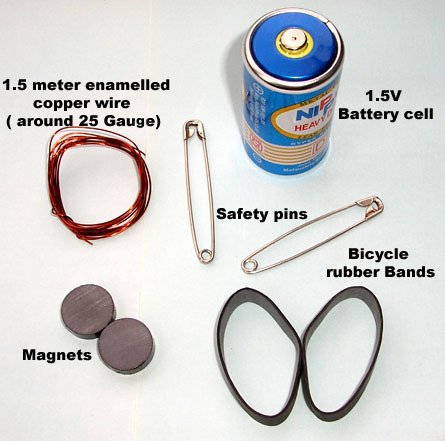 When playing with the motor, try to check what will happen if you reverse a battery cell or a magnet. 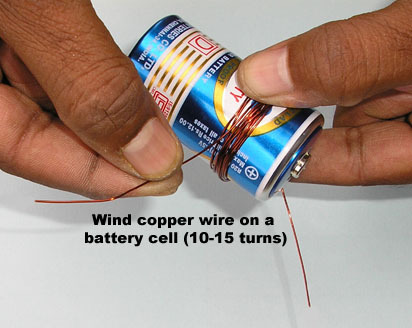 The assembly of a motor start from winding the coil of copper wire. 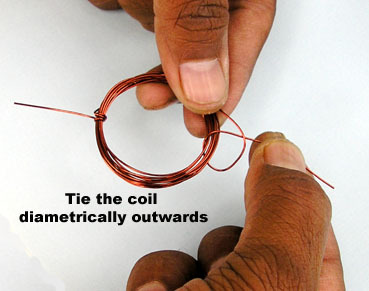 The coil should have 10 – 15 turns. 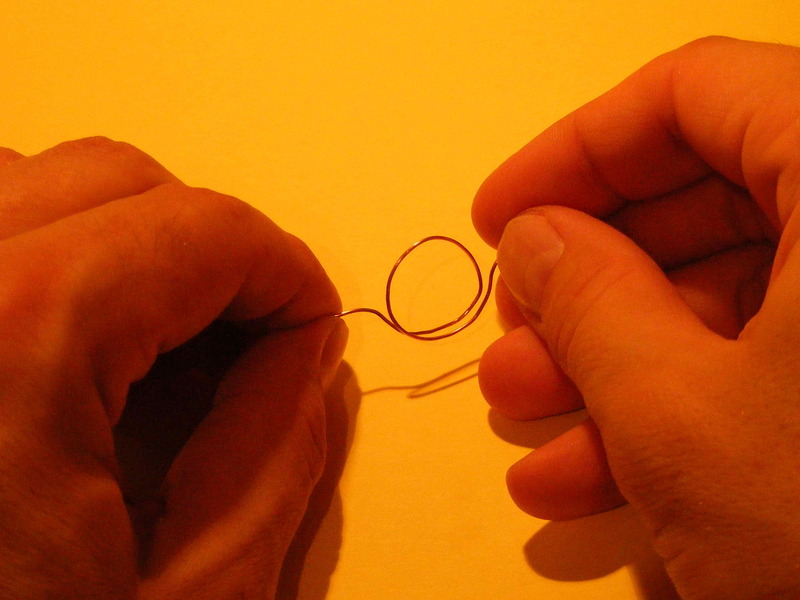 Too many turns will make the coil too heavy and too few turns will deteriorate motor functioning. 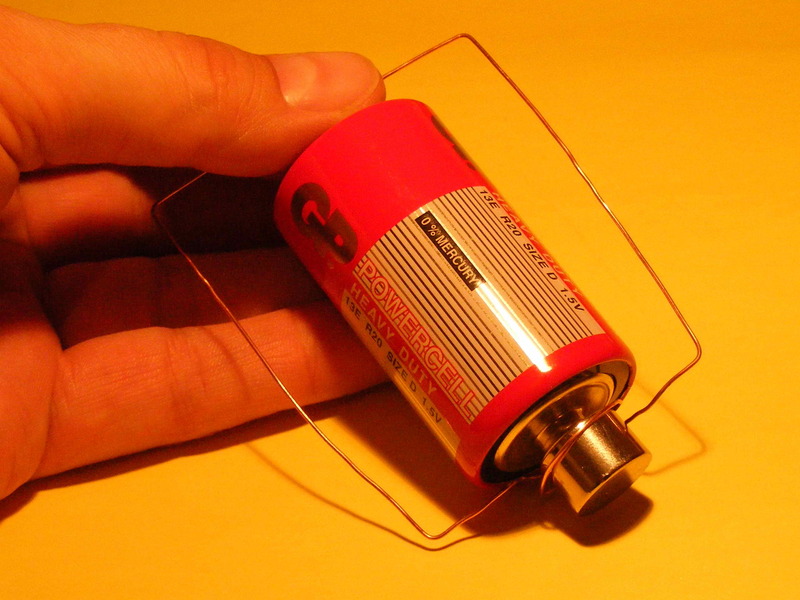 For winding the wire you can use a battery cell, as shown at the photo below, or other tube of a similar or a bit smaller diameter. You can use even your own finger! Now scrape the enamel (insulation) from the coil ends but only from a half of diameter of a copper wire, as shown at the photo! 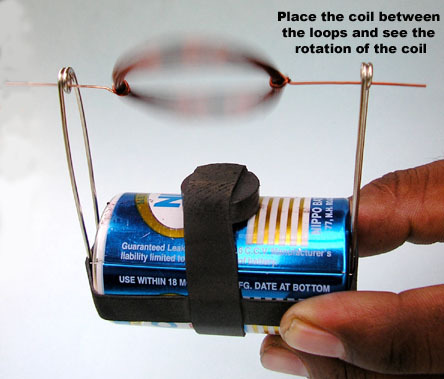 If you remove enamel from the whole diameter, and put your motor in motion, the coil will be accelerated by the Lorentz force during half of its rotation and slowed down during the other half of its rotation. Your motor will work unsteadily and it will rotate in two directions, depending on the direction in which you push the coil at the beginning. Image a tram that goes form its stop forward or backward, depending on which direction you push it... An electric motor of DC type is a device useful in everyday life exactly for giving possibility to control the direction of motor rotation. And that is the type of a motor we want to build. 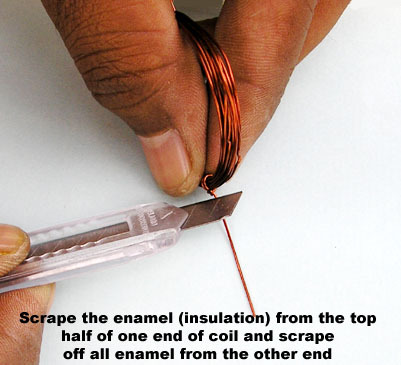 Remember to scrape the enamel (insulation) from the both coil ends from the same side! 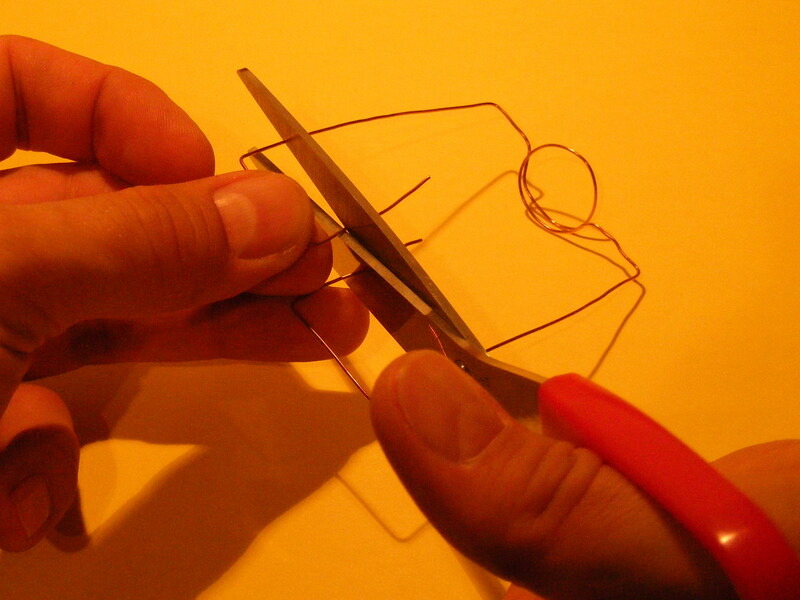 Now fix safety pins and a magnet using rubber bands, as shown at the photo. Insert coil ends into “eyes” of the safety pins and the motor is ready! Fig. 13: Assembly of a motor. 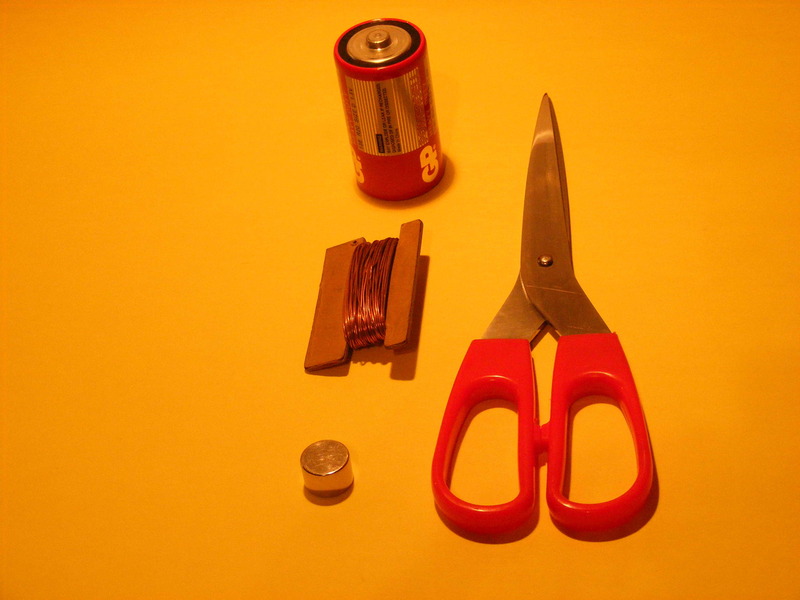 If a battery cell has a metal case, the rubber band for keeping magnet in place will not be necessary. Fig. 13: Our motor at work. If you have the second magnet you can hold it on the top of the rotating coil and see whether the motor accelerates or slows down. Or maybe speed changes depend on the position of magnet poles?